By far the biggest news of the day was the announcement of tomorrow’s Nintendo Direct. Nintendo confirmed that Mario Tennis Aces will be shown, along with other titles for both Switch and 3DS. That’s about all we know at present. 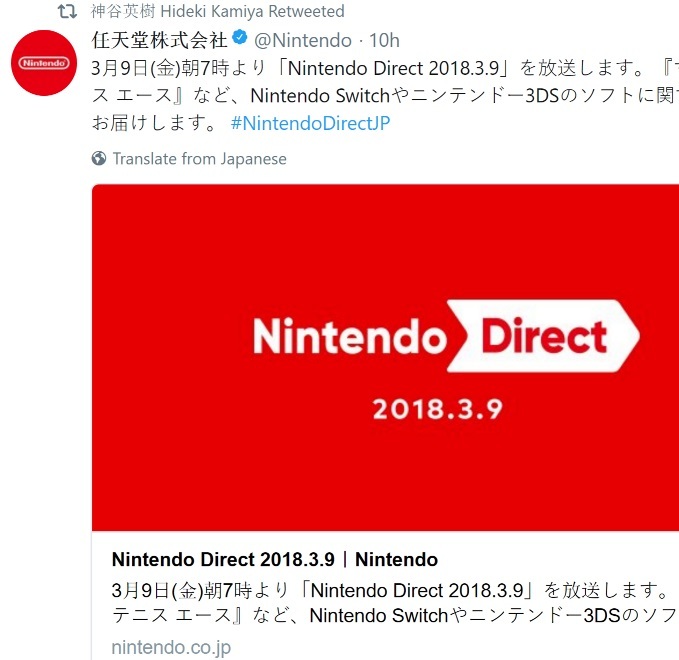 PlatinumGames’ Hideki Kamiya actually retweeted the news from Nintendo’s Japanese Twitter account. That may lead some to believe that we could see something such as a port of The Wonderful 101 tomorrow or news about Bayonetta 3, though there’s certainly the possibility that fans are looking into this too much. For the leadup to both Xenoblade Chronicles 2 and Xenoblade Chronicles X over the years, each time these games were going to be featured in a Nintendo Direct, Soraya Saga (the wife of Monolith Soft founder Tetsuya Takahashi) retweeted the news. Is it possible that something similar is going on here? Perhaps, though there isn’t quite the same pattern here. 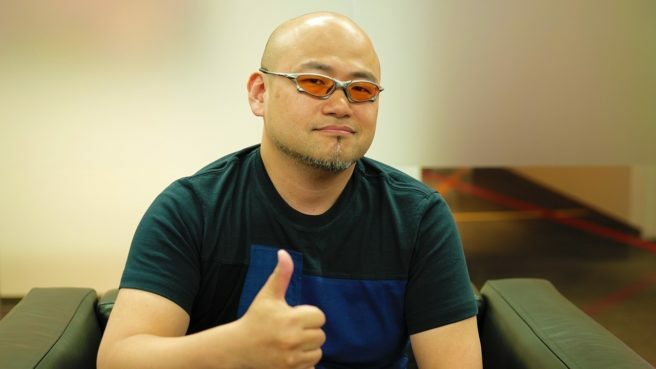 Kamiya also tends to be a bit of a troll, and he could just be retweeting the news as a fan. We’ll know by this time tomorrow if anything PlatinumGames-related comes from the Nintendo Direct.